Fly from Auckland (Ardmore Airport) direct into Wanaka Airfield for the Airshow. Possibility to stop at Christchurch to pick up passengers. Departs Wanaka for Ardmore Monday April 2nd. You need to purchase a 3 Day Gold, Silver or General Admission pass separately. Fare includes return flights, inflight refreshments (brunch or lunch) and luggage. NZ$990 per person. 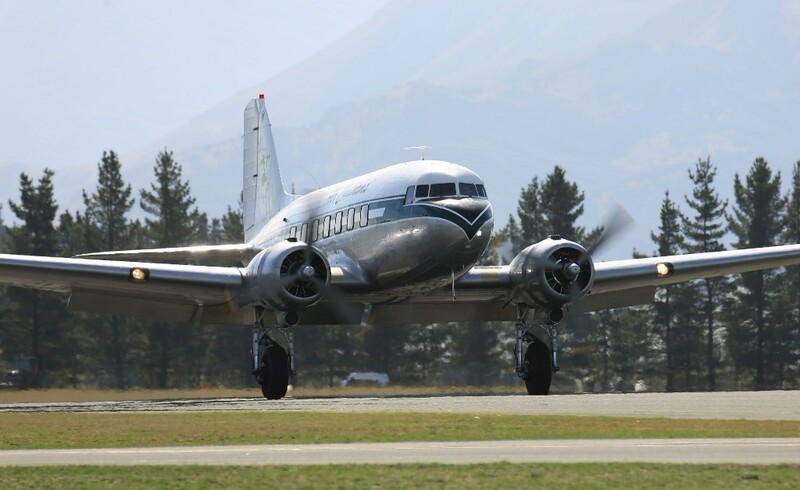 Contact Jessica at the DC3 office: admin@flydc3.nz or 0800 FLY DC3. Friday 30th March Wanaka Lakefront event: 4.30pm to 5pm. Get there early to get a good spot to see the 'live moose' act, the RNZAF, the Catalina and much more. Listen to the commentary broadcast on 91.4FM. We are bringing you many of the flying acts that have thrilled the crowds over the past 30 years, we hope you will enjoy them. 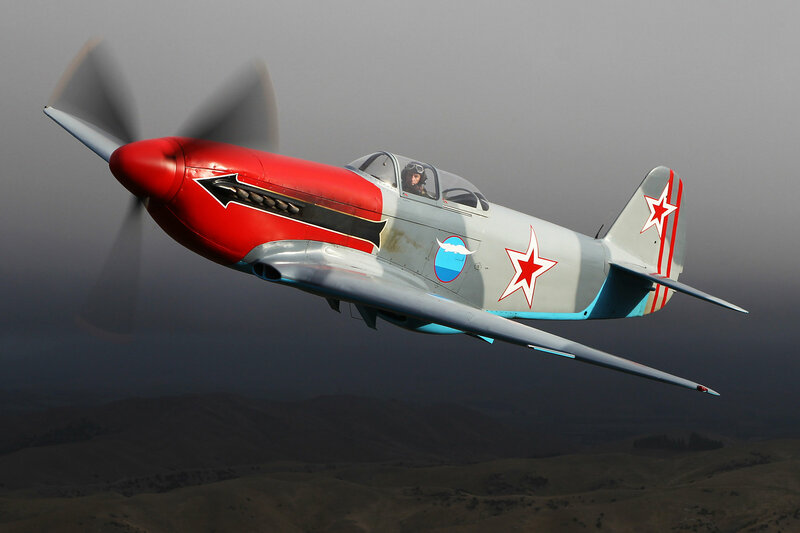 Added recently is the second Yak-3 - watch the pairs display! International Marquee - we invite all our overseas guests to come to the International marquee (near the food court area) and put a pin on the world map where you are from, leave a message for someone or place your details on the board. A first for WOW, it would be great to see you there! Purchase our Airshow programme at the gate for only $10 - a great WOW souvenir. The Flying Programme is on our website - NB. this is subject to change. Ever wanted to learn to fly or have an aviation career? Now you can see what is available at the Aviation Training Mart, right on the flightline.... whether it's the military, gliding, aircraft engineering, getting your private pilots licence or just looking for a friend, it's all under one roof. RNZAF aircraft and recruitment bus. On the tarmac their NH90 and Black Falcon Texan for you to view. Please note WOWMart is not proceeding this Airshow. Site Map 2018 - is available on our website. Grandstand passes are still available in the Gold and Silver areas and of course plenty of general admission passes. Purchase tickets now to ensure you secure a grandstand pass and remember all passes are cheaper when pre-booked. If there are any Sunday Silver passes left on arrival you may upgrade from a General Admission ticket at the WOW Event office (No. 1 on the site map). Also on our Facebook page and from the Newsflash on our website home page we will be giving you approximate travel times from various points around Wanaka. Or consider biking to the Airfield down the Clutha River, what better way is there to get here?! Bike racks are near the WOW Event office marked '1' on the site map. IF COMING FROM WANAKA THE GOLD PASS CAR PARK is in Carpark B on the right (also Pilatus & Titanium Pass holders). If there are two lanes into the Airshow, stay in the right lane and go into Carpark B. Then walk, following the signs into the Airport Main Gate (much quicker). On arrival if you have a ticket you DO NOT HAVE TO QUEUE, GO STRAIGHT TO THE SCANNERS AT EACH GATE. Pilatus Titanium, Gold Pass and Silver Pass holders please go straight to your Chalet/stands. If you have to exchange your General Admission paper ticket for a 3 day lanyard then go to the WOW Event office – marked ‘1’ on the site map on the back of your programme or the map on the website. Gold and Silver Passes – children only take a seat if they have their own ticket. Please sit next to your neighbour, don’t leave a spare seat or you will be asked to move up. Car parks open at 7.00am, please wait in your car until the Airshow gates open at 7.30am. It may be cold in the mornings with dew but then hot during the day, bring layers of clothes. The banks in Wanaka are not open after Thursday 29th, so please bring plenty of NZ dollars. There are two ATMs at the Airshow but there will be queues. No Drones, dogs, alcohol or chilly bins allowed into the Airshow. Children – please note there is no childminding facility this Airshow. WOW Official merchandise will be available in two marquees – by the Gold Pass area and by the gate from Car Park A. Bring all your spare chips and batteries for your camera. Taxiway restricted access – please respect this walkway, it will be open from 10am until 3.30pm only and at the volunteer’s discretion ie if aircraft movements etc prohibit opening. Daylight saving finishes on Saturday night 31st March, so please remember to put your clocks back so you don't miss the Airshow. Veterans, Disabled and Elderly; Reminder that we welcome Veterans, the disabled and the elderly, please register with us on info@warbirdsoverwanaka.co.nz We also have a limited number of wheelchairs and mobility scooters available should you have anyone in your party that requires assistance. We have a disabled viewing area for those that have a general admission pass - see No. 18 on the site map in the Silver Pass area. FAQs - will provide you with much information about our Airshow, in alpha order - on our website. Join the WOW Club - be hosted at the Airshow! THIS IS OUR FINAL NEWSLETTER SO SAFE TRAVELS TO WANAKA! Copyright © 2017 Warbirds Over Wanaka Airshows Ltd, All rights reserved. You are receiving this email because you signed up on our website to receive our newsletter.